– I’m making the cushion cover to fit Ikea’s Granat. I kept the length as is since the zipper will add extra length to the cushion. So, no need to add seam allowance here. – I draft out Little Red’s face using proportions on my sketch. Then paint them over. Her eyes should have a creepy hollow look, considering what a psychopath she was. Poor pig. 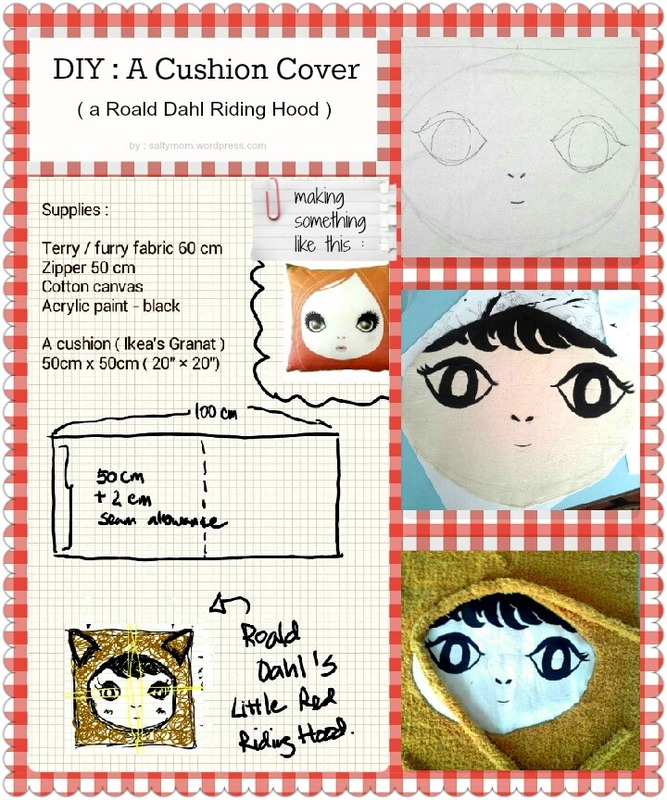 – Sew the face onto one side of the terry fabric. Then make a long strand with the terry scraps to create a 3D hood effect. Also don’t forget to sew the wolf’s ears. – Then sew the zipper ( there are many tutorials on this I am sure ). Leave the zipper partly open, sew the sides with the wrong sides showing. – Flip the cover over and it is done ! Wow! 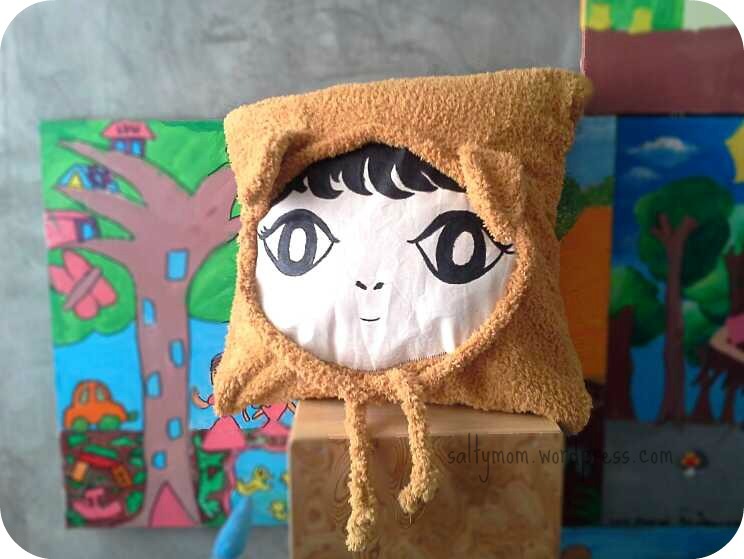 your DIY project is so cute! 🙂 Little Red’s face came out well! Thank you ! My kids now want me to sew them a pistol, so they can re-enact the whole poem !